The minute I read the blurb on this book I knew it would be right up my street. Dubbed as ‘Dark, disturbing and enthralling’, I just knew it would be a book I would love. I wasn’t wrong. (I’m going to swiftly gloss over the fact that I ordered the wrong edition from Waterstones and ended up with the cover you see in the image and NOT the beautiful, old, creepy, embossed wallpaper version, which damn near broke my heart *weeps*). This book tells the story of brother and sister, John and Marion Zetland who still live together in their childhood family home despite being well into their fifties. Neither of them have ever married and both are somewhat reclusive. Marion is a shy, meek and mild woman who defers to everything her brother John says. She is very much subservient to him and helps to keep his dark secret. You see John has ‘Visitors’ kept hidden in the cellar which Marion turns a blind eye to. She is lonely and desperate for her brothers love and attention, so she will do anything to make him happy. Including keeping her mouth shut about ‘The Visitors’ and Johns interaction with them, until that is, John has a heart attack and Marion has no option but to face what has been going on down in the cellar. The narrative flits between Marion and John’s childhood experiences with their slightly domineering father and emotionally detached mother and the present day. Some of the experiences are quite hard to read, as a reader you really feel for Marion and the desperately isolated, lonely childhood she had, living in the shadow of her older, more intellectually talented brother John. She was emotionally starved and shown very little affection from her parents who seem to worship John and allow him to get away with appalling behaviour. A chubby, introspective child, Marion didn’t have any friends aside from her stuffed toys, which she still loves and collects in the present day. The way the house was described really helped to add to the creepy nature of this story. Neglected, dirty, untidy, hallways full of old newspapers, just grim. I love that! The characters of Marion and John were so well written and I loved that with each flashback to their childhood more of the story and their odd relationship unfolded. There is so much darkness and evil running through this story that at times some of the events were just truly shocking and hard to read. There are hints of who may be in the cellar and why but you never quite trust your own assumptions on who they may be. I was racing through this book, anxious to discover just what the blazes was going on down there! (at the same time as never wanting the book to end!). The writing style kept me hooked and I loved that Marion at times came across as an unreliable narrator despite me wanting to believe everything she said. The other thing I loved about this story was the fact that it was not beyond the realms of possibility, scary but true! things like this can actually happen and that thought just added to the insidious nature of the story. 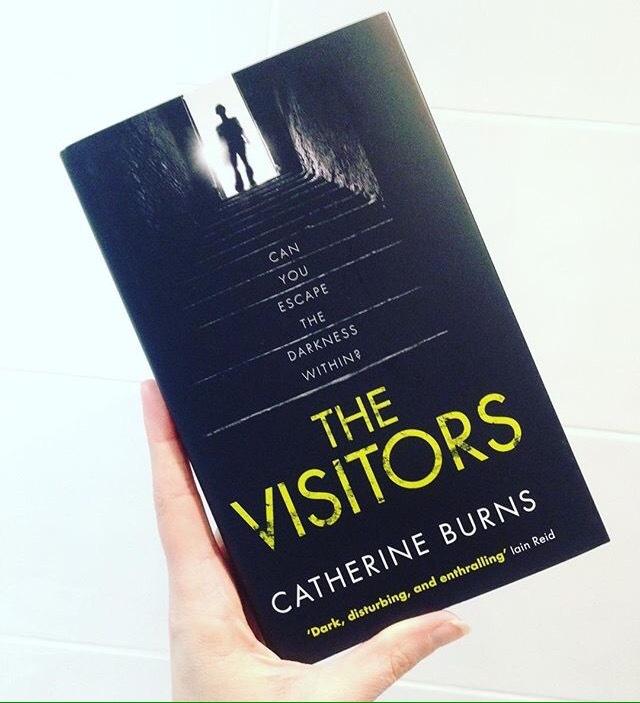 I was shocked to discover that this is actually Catherine Burns’ debut novel. It certainly does not feel like a debut. I am eagerly anticipating further work from this very talented writer (and not just because she’s a Manchester girl like myself). I will be waxing lyrical about this book in the future. I will be urging anyone and everyone to read it. Including you……what are you waiting for?…. I’ve been racking my brains trying to think if I’ve ever read a series/sequel and I honestly don’t think I have (I mean the Fifty Shades trilogy doesn’t count right? Please don’t judge, I was young and deluded). Series/trilogies etc tend to fall into the Sci-Fi/Fantasy genre and neither of these are my bag. 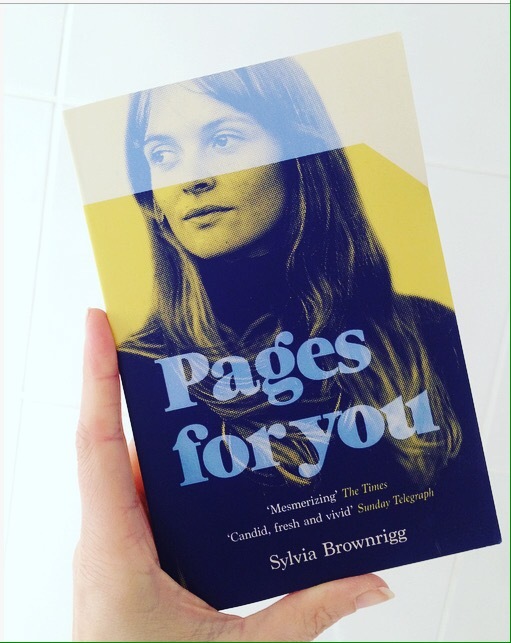 However I read Pages For You by Sylvia Brownrigg a few months ago and was utterly convinced as I typed this that I had reviewed it here on the blog, but a quick check back through my reading wrap up’s has proved otherwise! Nevermind….onwards. I shall give you a brief run through of the first book now. So in Pages for You we meet Flannery and Anne. Flannery is a college student and Anne is her teacher. They meet in a diner one day after Flannery, new to the area, orders a jelly omelette (yes it is just as it sounds) A surprising order which makes Anne take notice. Their eyes meet and there is an instant attraction. Flannery later discovers that Anne is actually going to be her teacher and, frightened of her attraction to the older woman opts to take a different class. Anyway, long story short they meet down the line at a party and start a passionate affair. Their affair takes various twists and turns and is ultimately doomed (not a spoiler, it says so in the blurb!). This book is beautifully written, short, sharp, snappy chapters full of life and passion and depth of feeling. You really begin to understand Flannery and Anne and their developing relationship and find yourself willing them on. As a standalone book I would give this a solid 4 stars. So…..on to the ‘tricky sequel’, Pages For Her where we meet Flannery and Anne after a 20 year hiatus. (I believe the author had a hiatus between the two books herself of a decade or more). There is a conference happening and both women are scheduled to appear. Both are now authors and Flannery is married with a young daughter. They have had little or no contact after the end of their affair (besides congratulating each other on their books etc). Now I went into this book with a lot of anticipation for their meeting again. As I was reading I found myself getting a little frustrated that I was two thirds of the way through and they hadn’t so much as had a whiff of each other. It was one hell of a drawn out build up which took us through Flannery’s meeting of her husband Charles (a famous sculptor), her pregnancy and the birth of their daughter Willa. We also found out titbits of information about Flannery’s other big relationship with a woman called Adele. The Flannery chapters I didn’t have a problem with. I enjoyed learning about her relationship with Charles which wasn’t always great but was fascinating and her life as a mother. The Anne chapters…..not so much. I just didn’t connect with her in this book. I didn’t find her to be a very likeable character. Now I’ll hold my hands up and say outright that I’m a Flannery fan (and that’s not an easy sentence to say out loud!) but Anne grates on my nerves. I think this may be due to the fact that I’m the same age as Flannery (in this particular book) and I’m also a mother so can perhaps identify more with her. I found I was rushing through the chapters from Anne’s perspective as I found them a little dull. I just wasn’t that interested in her meandering around Venice with her sister. If Anne were chocolate she would eat herself. I just found her to be full of her own self importance. Despite Flannery gaining confidence over the years, I was just willing her to believe in herself a bit more and show Anne she had done just fine without her. Two thirds of the way in they finally meet and it was like being able to breathe again. I’d been waiting for it and getting frustrated but looking back on it I know now why that was done in the way it was. All the anticipation made the meeting worthwhile. The writing at times was beautiful (as in the first book) but also at times verbose. I’m not saying I didn’t enjoy it because I did. I was satisfied with the ending and looking back probably enjoyed it more than I thought whilst reading it. Does that make any sense? I think what I’m trying to say is that I preferred the first book and would have been quite happy for it to be left where it was. 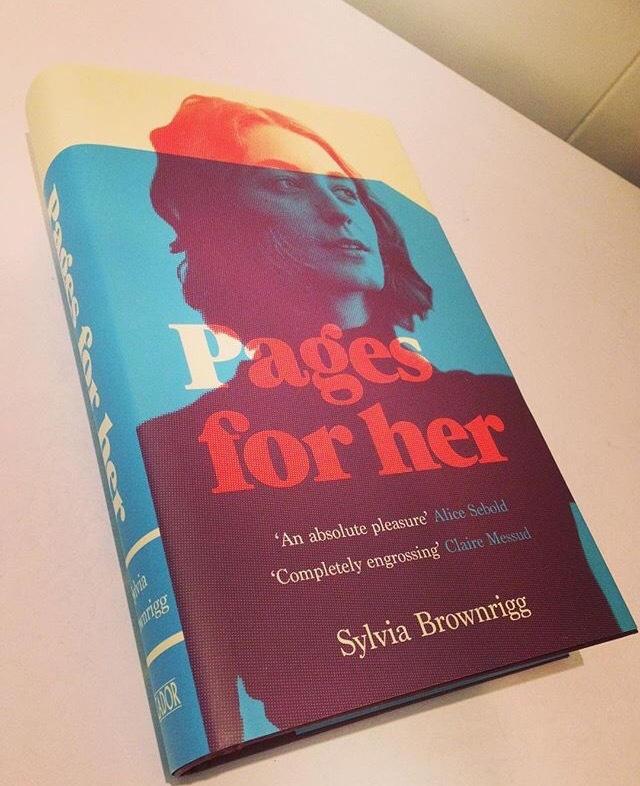 But if you’ve read Pages For You then you obviously have to read Pages For Her too. Give it a go and see what you think. As always let me know your thoughts. Dubbed as being a 17th Century ghost story with echoes of Du Maurier, how could I pass up the chance to read and review this chilling gothic tale? Set on the wilds of the desolate moors, we follow our protagonist Mercy Booth and her father Bartram Booth who live in isolated Scarcross Hall at the top of the so called coffin path. They make their living from their sheep and land and employ various villagers to help to them. The story opens with Mercy feeling very unsettled as she feels that she is being watched and followed. From here on in the strange events get even stranger and less easy to explain away. Bumps, noises, dragging sounds in the empty bed chamber above her bedroom. Items going missing, sheep being inexplicably slaughtered out on the bleak desolate moors. There are stories down in the village that the moors and particularly Scarcross Hall are cursed. A previous family who lived at the hall met an untimely end, and from hereon in the villagers have had there suspicions about what happened to them and why. Things deteriorate along with Bartram’s health and Mercy begins to feel even more isolated up on the moors. Their livelihood is threatened and ultimately their lives are threatened too. Who or what can be behind these strange events? The relationship between Mercy and Ellis is an intense one, mistrusting yet powerful and it was interesting to see it develop. Katherine Clements has a very descriptive way of writing, her prose was at times beautiful but in the main very atmospheric. You can almost feel the cold mist drawing in around you, and feel the damp of the old hall penetrating your bones. I read this at night to ramp up the atmosphere and the spine-tingles, (glutton for punishnment I know!) and I think this is a great autumn/winter read. 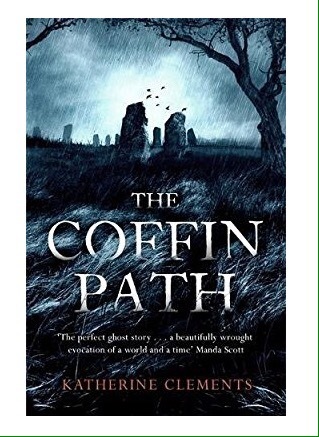 If you’re a fan of the typical gothic ghost story, (think Susan HIll and Wilkie Collins), then you’ll more than likely be drawn in by this story. I thoroughly enjoyed it and would certainly recommend it. A solid 4 star read for me. 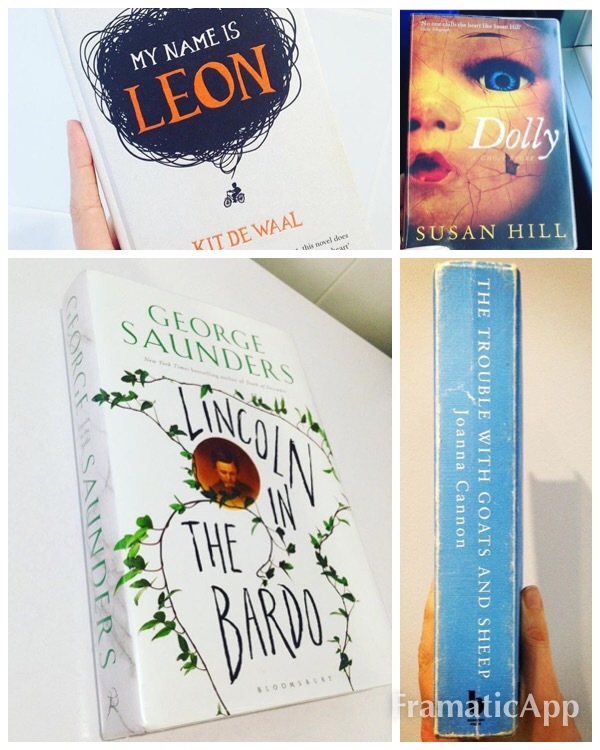 A Reading Wrap Up – Heartbreak, A Scary Doll, A Mystery and Bonkers Brilliance. So the title says it all for this little mini reading wrap up folks. Four books all completely different. I feel like a stuck record when I say this but I’d initially heard about this book on booktube and picked it up as luck would have it, from a local charity shop. It was sitting on my shelf for a while, one of those books you’re excited to get to but a bit apprehensive about because you’ve heard what it’s about and are unsure if it’ll break you! So I picked it up recently when I was feeling like a big brave girl and I wasn’t disappointed. 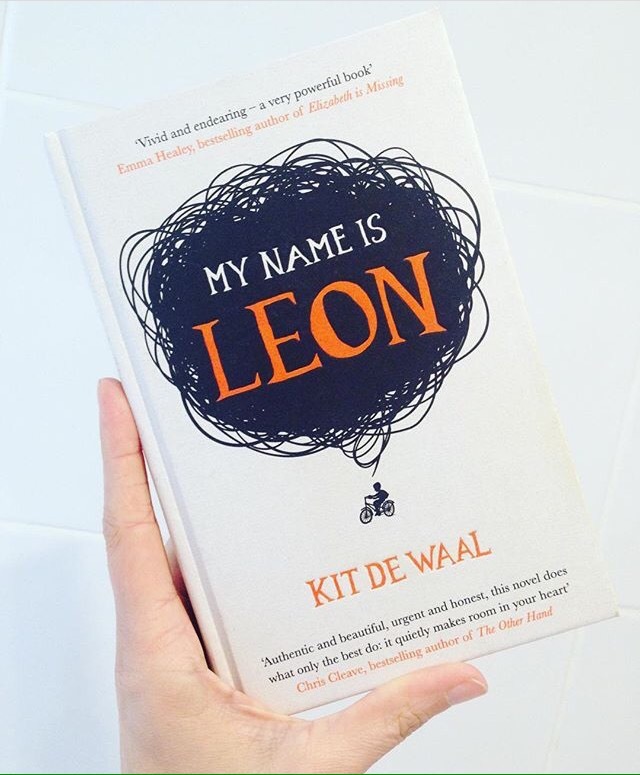 This book tells the story of Leon (of course!) a young black boy who’s mum has a baby with her new (white) boyfriend and then subsequently struggles to cope with both Leon and his baby brother Jake on her own. She suffers mental health issues and a whole host of other problems which eventually lead to the authorities stepping in and taking Leon and baby Jake into foster care. Fortunately for Jake he quickly gets adopted leaving Leon behind with his foster carer Margaret. Leon has to come to terms with the fact that he wasn’t adopted because he was neither a baby or white. Leon is such a lovable little character even though you get glimpses of the terror he could potentially be at school etc. He is constantly trying to survive as a byproduct of the time he spent looking after his brother on his own whilst his mum was spending her days in bed, racked with anxiety and depression. Some of the earlier chapters detailing the neglect of these two children are really hard hitting and heartbreaking. They make you want to scoop Leon and Jake up and rescue them. As a reader you really feel for Leon’s struggle, to figure out who he is and where he belongs. He’s such a lost little soul but fiesty and determined to survive and find his brother, and ultimately reunite his family. I enjoyed this book very much although it feels wrong to say that given the content. A solid 4 star read for me. I made the rookie mistake recently of taking an almost finished book to work with me. I of course finished it on my lunch hour and was left with nothing to read on the bus journey home. Curses! 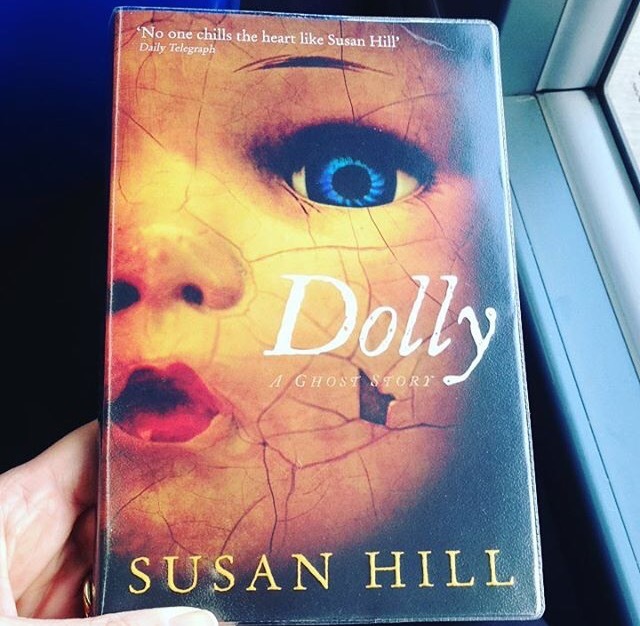 But never fear book lovers, I popped into the library on my way home and picked up Dolly by Susan Hill. 1. because I’ve never read any Susan Hill before and 2. I figured it was small enough to start on the journey home and be able to finish that night. Dolly was just the perfect little creepy read and I loved it. It tells the story of cousins Edward and Leonora who are staying with their aunt in her huge old house in a small village in the The Fens. I’m not sure of the time period but I think it’s maybe 1920’s/30’s. Leonora is nothing short of a little brat, demanding, unpredictable and temperamental. Whereas Edward is the polar opposite, sweet, well behaved and polite. The story centres around a doll that is bought for Leonora by her aunt and which leonora rejects as not good enough. We then follow the creepy consequences of this rejection, both during their summer at their aunts and the far reaching effects of the doll into their adulthood. This is a great story to read at Halloween if you want to scare the pants off yourself. Sinister, dark, creepy. Old houses, scary little doll, what more could you ask for? I’ll definitely be picking up more Susan Hill in the future. I’d seen and read so many reviews/tweets/IG pics relating to this book and knew I’d have to read it at some point as the levels of praise were phenomenal. I have to say that this book was totally not what I was expecting. I think I envisaged a cosy read as I’d heard it described this way in a few reviews, and in some ways I suppose it was but it also had so many surprising darker layers to it that I was quite taken aback. Set in the heatwave of 1976, Mrs Creasey has disappeared from the avenue and 10 year old Grace and her friend Tilly have taken it upon themselves to try and unravel the mystery of what has become of her. In doing so we get the chance to visit each resident on the avenue and get the chance to peep behind closed doors which lets face it, is always fascinating. I love stories like this, set in one street or village where we get the chance to find out peoples secrets and hidden lives. As I said earlier, this had a darker twist that I wasn’t expecting but also felt quite familiar and nostalgic. I really did enjoy Joanna Cannon’s writing style and can now understand the praise that has been heaped upon this book. 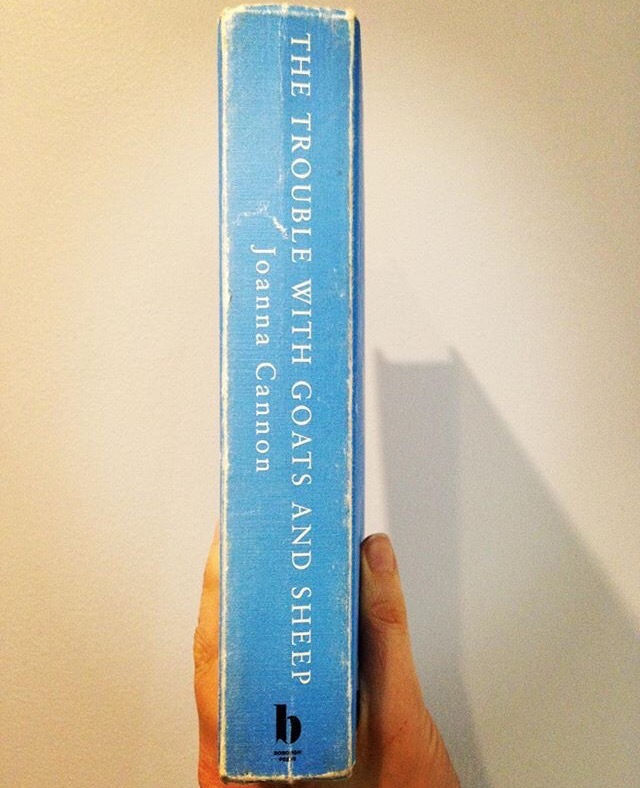 I’m now hotly anticipating the release of Joanna Cannon’s new book Three Things About Elsie. There’s almost too much to say about this one! Firstly I’ll start by saying it wouldn’t have been a book I would have picked up had I not heard a trusted booktuber say brilliant things about it and then see that it had made the Manbooker Longlist this year. It is totally outside of my usual comfort zone but I really enjoyed it and I’m thrilled it’s been shortlisted for the Mnabooker. It tells the story of the death of Abraham Lincoln’s young son Willie, who apparently died whilst the president and his wife were hosting a lavish party downstairs. We then see Lincoln visiting the cemetery on the evening following the boys funeral. But he is not alone, he is overseen by the various old spirits in the cemetery who are desperate to see that the boy goes to a place of peace and does not stay stranded within the cemetery. I should explain that that I had to Google what ‘bardo’ actually was and apparently it’s ‘a state of existence between death and rebirth’. So there you go! There are many colourful characters in the cemetery who each narrate sections of the story which reads a little like a play. There are also little excerpts of text from historical and biographical accounts of Lincoln and his life which were very interesting. I really don’t think I’d ever be able to review this book properly and do it justice. It’s something that’s hard to explain. You’d just have to read it for yourself! 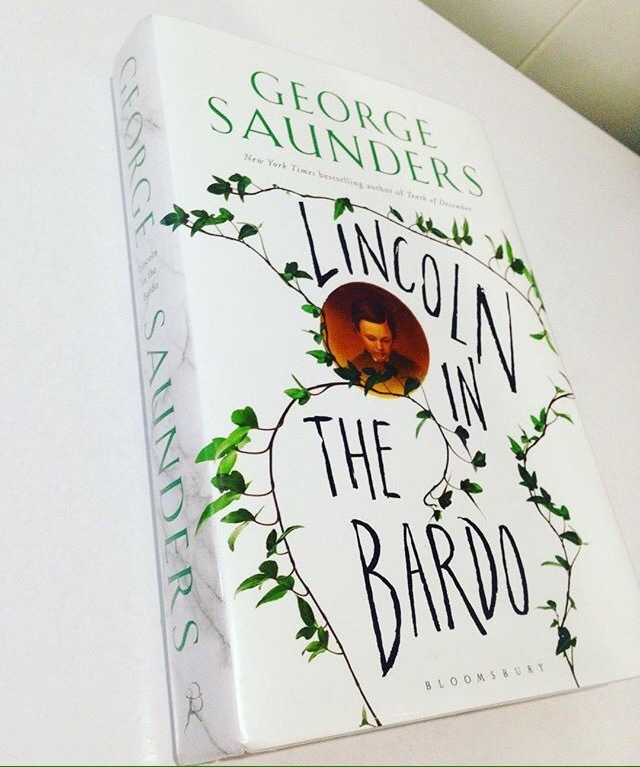 I am really hoping George Saunders wins the prize. So there we have it. Another little reading wrap up. I’m going to aim to do more individual reviews so that these posts aren’t so lengthy! In the meantime, I’ll crack on with reading and I’ll see you soon.